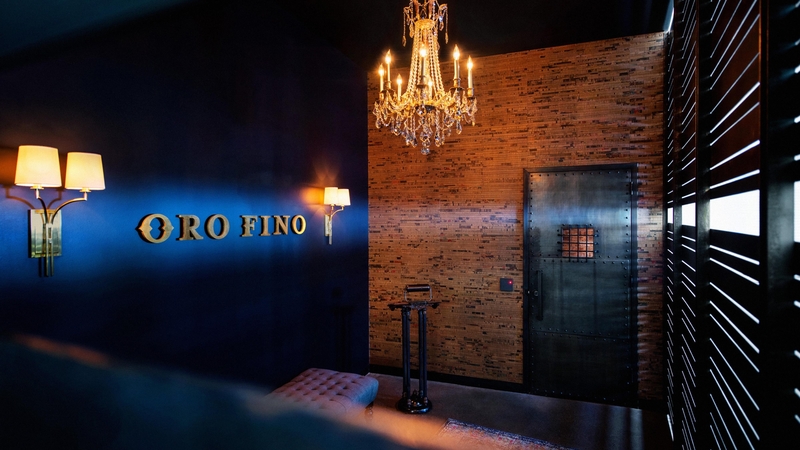 GBD recently completed the Portland Trail Blazer’s most exclusive new venue—Oro Fino. 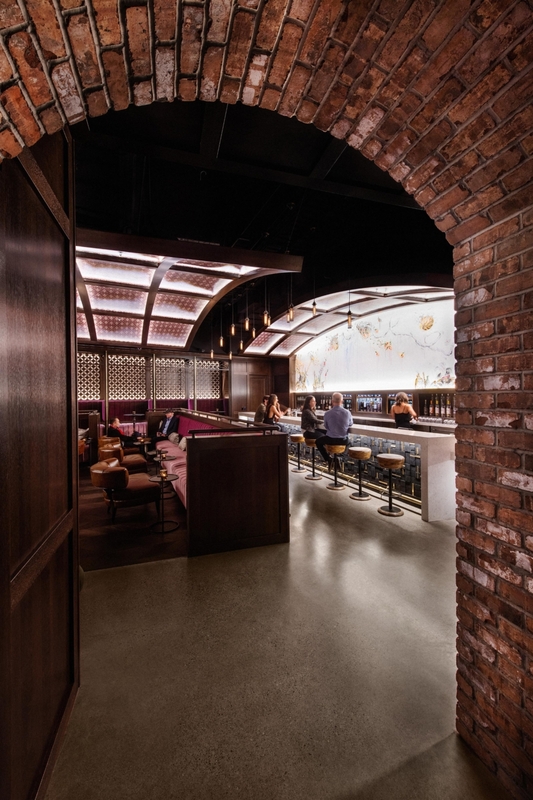 This speakeasy style-bar is discretely nestled deep within the tunnels of the Moda Center, and is accessible only to those with “feet on the floor” – i.e. courtside seats. 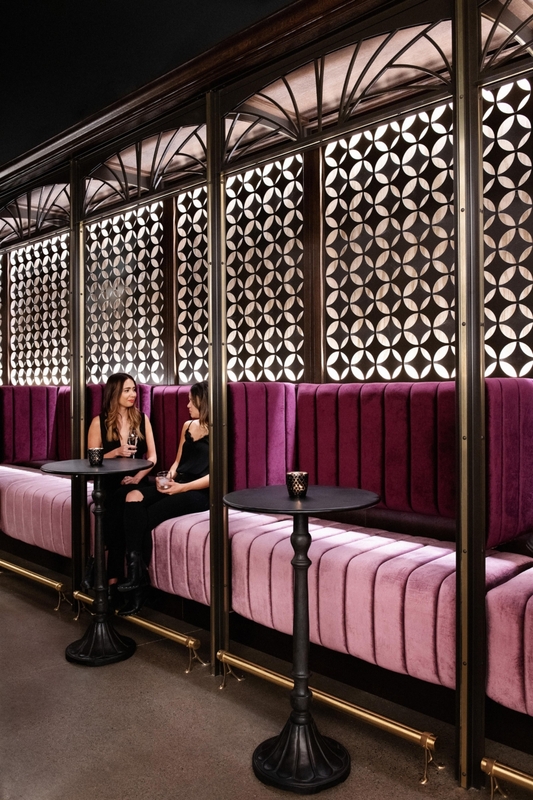 The elite clientele and private location of the space inspired a design that draws from Portland’s rich history of covert Shanghai Tunnels and prohibition era speakeasies. 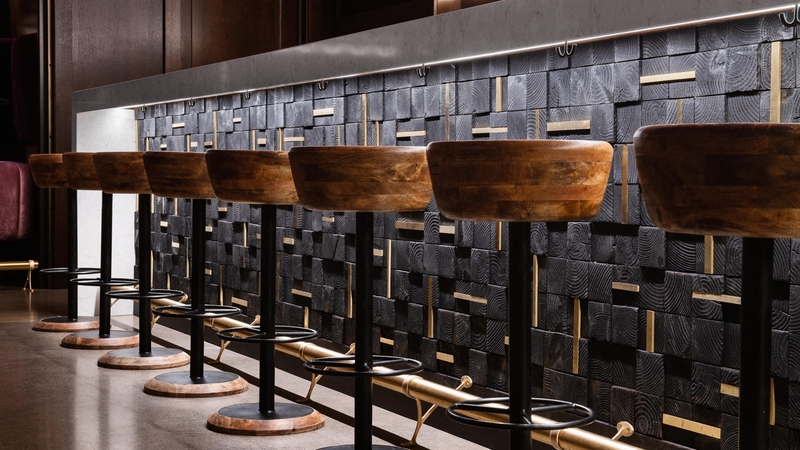 The lush interiors include warm materials of wood, raw brick, leather, and velvet. 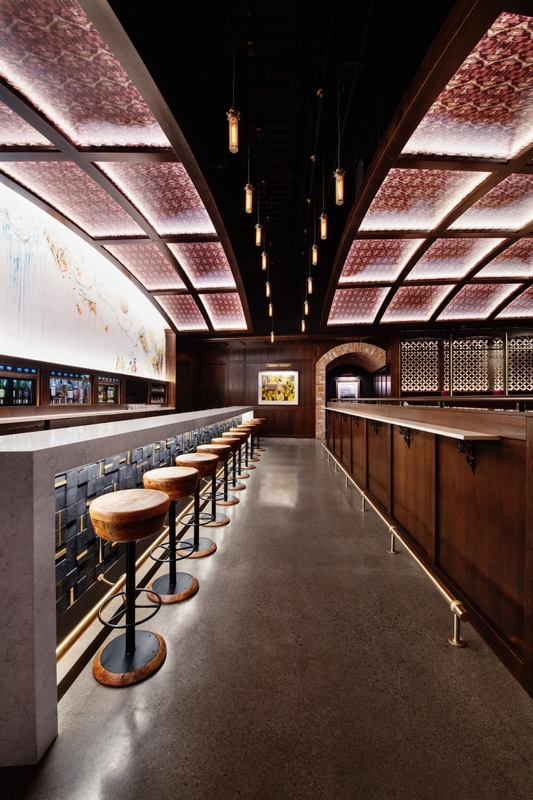 We created an art centered environment with highly customizable integrated lighting to complement the custom crafted finishes of the space. 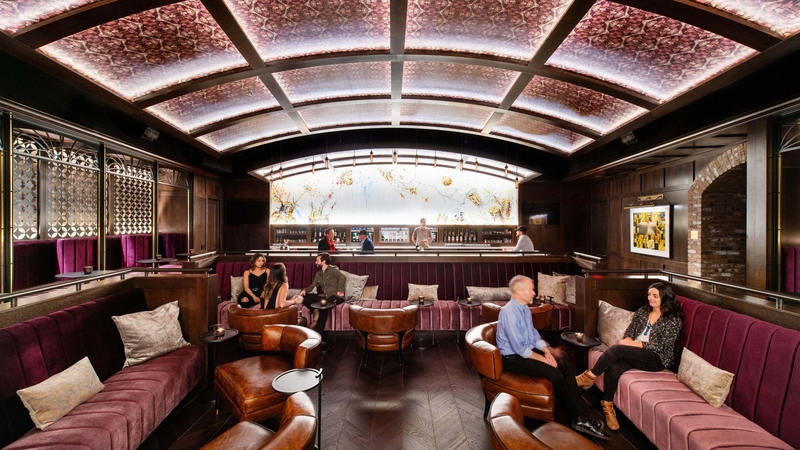 Warm tones and indirect lighting set a moody backdrop both along the backlit barrel vaulted and coffered ceiling as well as behind the intimate 2-person booths. 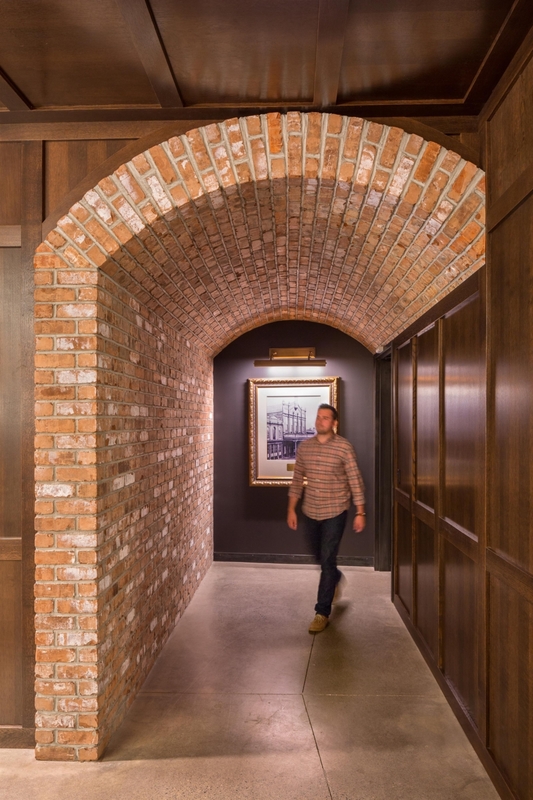 The project was extremely fast tracked, designed and constructed in only five months.